Find out your new bin collection schedule, order a new bin, ask for assisted collection. Commercial and clinical waste disposal sites, collecting business rubbish and trade bins. Find recycling locations, request a permit, what vehicles are permitted, waste type and quantities allowed. Information on ways to reduce waste, reuse and recycle your unwanted items. 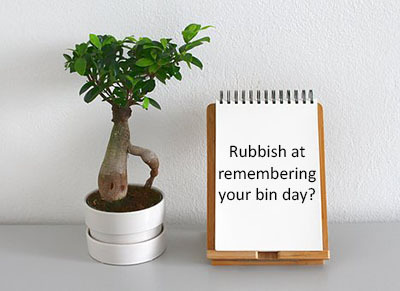 Find out what goes in each bin, flats recycling, what to do with hazardous waste, look up items in our A to Z.
Rubbish at remembering your bin day? Download the Luton bin app.